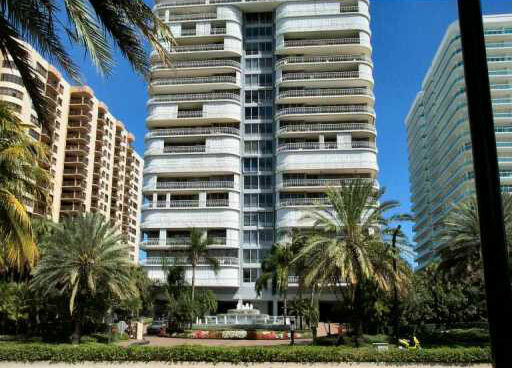 The nineteen story Bal Harbour 101 by architect Clement DiFillippo is found on Collins Avenue and has a great view of the beaches and the ocean to the east. Within the building you're going to discover a total of 172 Bal Harbour condos for sale available with two or three bedrooms and plenty of high end features. Beyond the frequently seen amenities like concierge, Bal Harbour 101 also has a restaurant to complement the standards like the fitness facility, spa, tennis and much more. The units of Bal Harbour 101 range in size from 2,135 to 3,300 square feet and thanks to the location the views are among the best in South Florida. If you like discovering—and wearing—the latest fashions by names like Dolce & Gabbana, Jimmy Choo, Armani, Chanel and many more than you need only visit the Bal Harbour Shops near Bal Harbour 101. You'll find even more great shopping plus a huge variety of dining over in Miami Beach to the south of Bal Harbour 101.